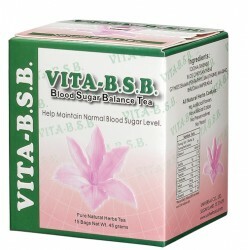 Vita's Blood Sugar Balance Tea may effectively control high blood sugar levels for early stage diabetics. 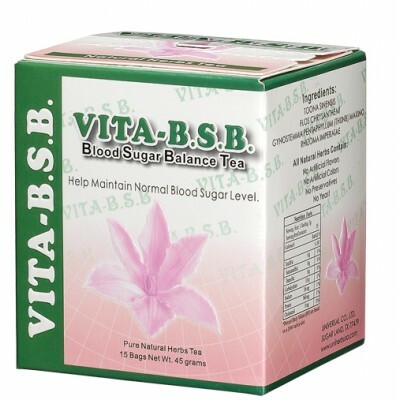 All herbal, all natural with no caffeine. Ingredients: Toona Sinensis, Flos Chrysanthemi, Gynostemma Pentaphyllum (Thunb) Makino, and Rhizoma Imperatae. Made by Universal Herb, TX, USA. Directions: Place tea bag into 8 oz of hot water and let seep 3 minutes. 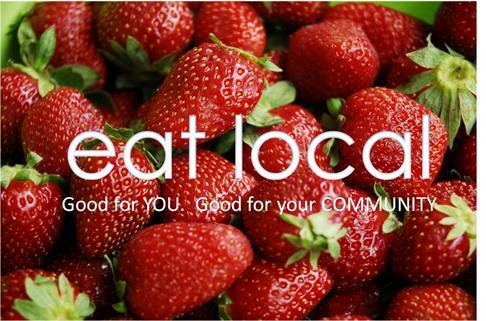 Drink cold or warm once or twice daily. Contains: 15 bags per box. 45 grams net weight.